We are born and along the way we may get married, find fulfilling careers or have a family, but in the end we die. That may look linear to some. But to me, I see arcs, tangents and curves. 20 years ago in June, my parents bravely and I believe proudly, announced to their friends they had a new granddaughter and this granddaughter had down syndrome. I know this was not easy for their generation, they never knew any one with down syndrome. Babies at that time where either given up at birth and institutionalized or hidden away in families. 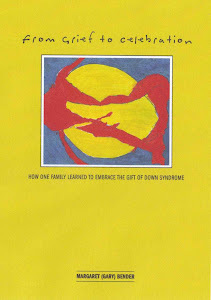 The idea of educating people with down syndrome was unheard of and the life expectancy of these babies was about twelve, mainly due to un-treated medical complications. 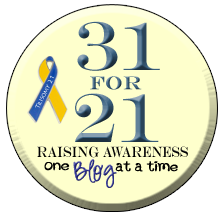 As children my parents did not know anyone with down syndrome, although there were the pregnant moms who came away from the hospitals without their babies. Death “at child birth” was common. 20 years ago in June, John and I proudly, and bravely, announced to our friends that our beautiful baby daughter had down syndrome. 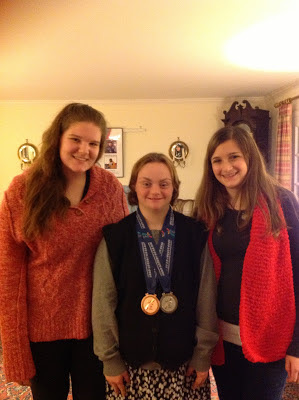 This was not easy for us either, we had never known anyone with down syndrome. Babies of our generation where either given up at birth and institutionalized or hidden away in families. The idea of educating people with down syndrome was unheard of and the life expectancy of these babies had increased to about twenty, with the advent of some medical care. As children we did not know anyone with down syndrome, although there were the pregnant moms who came away from the hospitals without their babies. Death “at child birth” was common. Almost twenty hours ago, my parent’s generation and mine gathered together for a celebration of Alex, an almost twenty year old Special Olympic Medalist with down syndrome. Alex was greeted by handshakes and hugs. She politely shared her story of South Korea and graciously thanked everyone for their gifts. As always Alex “worked” the room, speaking with the guests and smiling….always smiling. 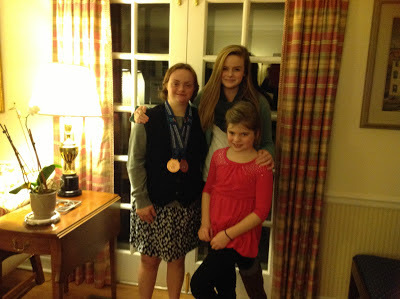 Her cousins and sister came, the new generation who do know people with down syndrome, the generation who brag “they have a sister and cousin with down syndrome". In those 120 minutes I know Alex made a difference in the minds of people from fifty to eighty. 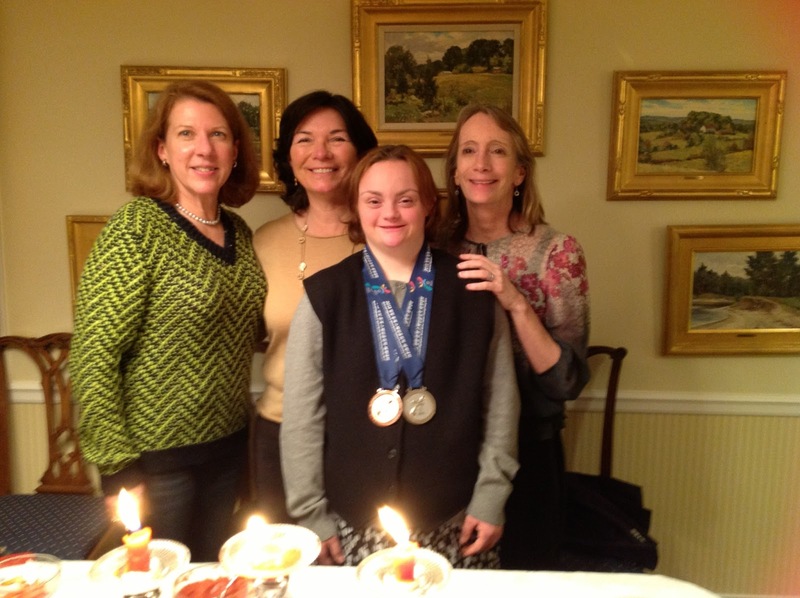 Our guests left knowing people with down syndrome should not be institutionalized or hidden in families. People with down syndrome live in our communities, go to our schools and accomplish great things. People with down syndrome can travel 5,500 miles from home by themselves, compete in foreign countries for their country and make their families proud. And that is a circle. Traveling full circle. How perfect. I loved this!! You have a remarkable daughter. Changing perceptions and hearts. Thank you - I knew you would be able to relate! This brought tears to my eyes, thanks for sharing your Alex with us and for paving the way and making our journey that much easier and enjoyable! Thanks. Ah..you make me blush :) We love sharing our journey it really is remarkable. Seriously one of my favorite posts of yours! You are an inspiration to me and your daughter shows me all the things I hope for my son who is almost 4 years old. Thank you!